Never to rest on its laurels, Pangea is proud to announce the latest addition to its LPWAN portfolio: Sigfox connectivity! Borne out of terms such as “telematics” and “M2M” before graduating to the now widely accepted “IoT” (or sometimes even Internet of Everything! ), The Internet of Things has always had a fairly loose definition. As the term has evolved, so too have the opportunities, applications, and available technologies. Data is cheap compared to just a few years ago while progress in mobile operator roaming agreements allows a single SIM card to cross countries and continents, using multiple gigabytes of data on LTE (hint: Pangea can help you with that!). Such advancements have essentially forced us to redefine what the standards of IoT connectivity are and what they could be. Currently, we’re witnessing a clear connectivity split between high data consumption IoT services and low bandwidth, low data consumption IoT services. Some use cases have even transcended from low data use to high data use. An increasing split between high and low data consumption services is redefining what the standards of IoT connectivity are, as well as what they could be. A great example is vehicle tracking. Originally reporting in with a packet or two of data every five minutes, every hour, or daily, advances in fringe technology have rolled the vehicle tracker straight into the “high usage, real time” world, with things such as HD camera streaming, near real time location updates, and in-car Wi-Fi hotspot services. At the “sensor” end of the scale, where devices are checking in or reporting once a day or even weekly, all the focus is on data, CPU cycles, and power. 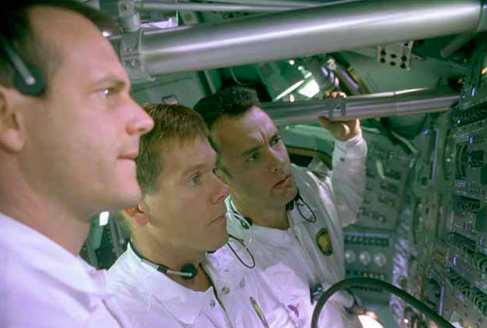 These devices are built to an exact specification, only using resources which need to be used and transferring data which needs to be transferred (think of “Apollo 13” as the crew, in hand with mission control, trying their best to power up the systems without blowing the power budget). It’s entirely possible to fit these devices with a SIM card and run data over the mobile network. However, there are sometimes further customised connectivity solutions available. These solutions fall into the area called LPWAN (Low Power Wide Area Networks). In here the main players are (if we take a look at press coverage and presence) Sigfox, LoRA, and the cellular based technologies such as NB-IoT and LTE Categories 0, 1, and M (that’s a subject for another blog post). Currently in the UK we don’t have any of the aforementioned cellular services just yet (although all the mobile networks are in the middle of testing). Let’s take a closer look at Sigfox. What is Sigfox? 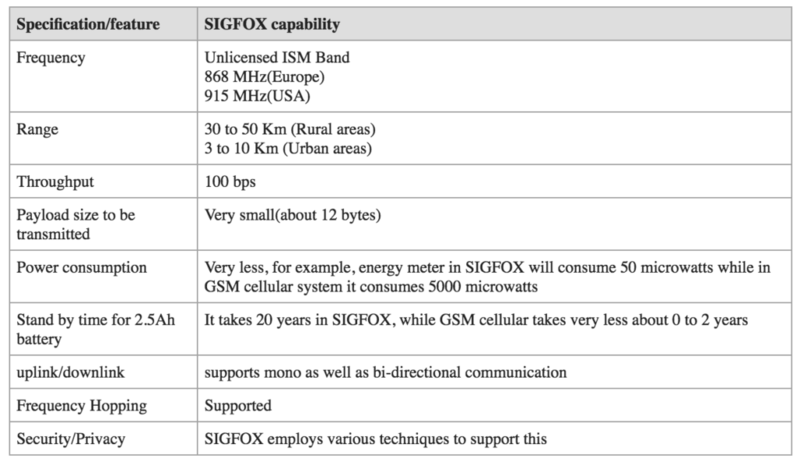 While it’s easy to go to https://www.sigfox.com and have a browse, Sigfox can essentially be categorised as ultra narrow band. 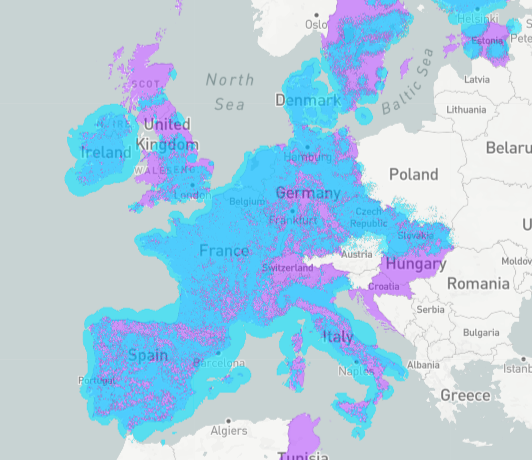 This technology runs on sub-GHz frequencies on industrial, scientific, and medical (ISM) radio bands: 868MHz in Europe/ETSI and 902MHz in the US/FCC, giving low data rates, but wide ranging coverage. Think FM radio. A single Sigfox base station can have a coverage range of about 30 miles in a rural area or 6 miles in an urban environment. That means just a couple of base stations could cover an entire city, like London. In fact, Belgium, a Sigfox enabled country, has all of its 30,500 square kilometres covered by just seven base stations. The important thing about Sigfox (especially when compared with LoRA), is that Sigfox is a proprietary system. Sigfox has a network operator in each country managing the rollout of the Sigfox network, while manufacturers build Sigfox compatible devices and Sigfox partners, such as Pangea, sit in between Sigfox and the end customer, giving personalised service, implementation assistance, local support, etc. LoRA technology on the other hand, can be rolled out by anyone who buys a cheap LoRA base station—making it more useful for a localised use case, e.g. a smart construction site or a shopping centre. Pangea can also supply LoRA solutions. Just about everything perhaps! If we read this table from a cellular-trained background, even old GRPS and WAP of a decade ago could trounce some of these items. A limit of 140, 12 byte messages per day… throughput of 100 bits per second… why even bother? Take a look again and consider the power and energy stats. Sigfox permits use cases where service life cycles are measured in the decades before requiring new power, not months or years. Sigfox is built for deployments where data requirements are non real-time. Finally, Sigfox isn’t based on IP end to end—unlike cellular where the SIM enabled device gets an IP address. The rough communication protocol for Sigfox is the device talking to the Sigfox network, and then the end customer using an API to talk to the Sigfox cloud to push and pull data from the device. If you are considering a deployment, have a look at the Sigfox device ecosystem, which gives a great overview: https://partners.sigfox.com. Companies have developed soil monitors, bin geolocation solutions, weather stations, magnetic sensors, the list goes on and on. Stay tuned for more information and detail on Sigfox in the near future, as well as for some peeks at Sigfox enabled devices! In the meantime, for more information about Sigfox and what it can do for your network, check out https://www.sigfox.com. If you want to know more about Pangea, M2M or IoT, globally roaming SIM cards, customised solutions or analytics drop us a line at contact@pangea-group.net or tweet us at @pangeaconnected. “EU ready” for recent data roaming ramifications?